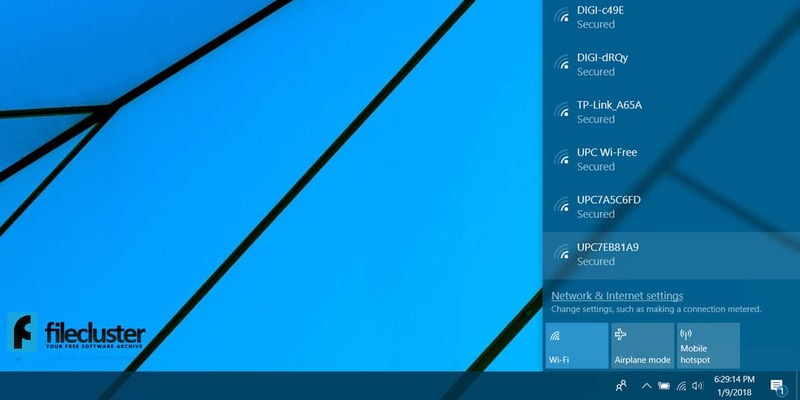 Windows 10 automatically detects all WiFi networks within range and displays them all when you click on the taskbar network icon. This is not a bad thing though – it enables us to easily choose a network. Nevertheless, you might want to block a WiFi network in Windows 10, or even more, if your connections list is too cluttered, or you’re often nearby public networks you don’t trust. Blocking a network is an excellent way of making sure you never connect to it by accident. For whatever reason, Windows doesn’t provide any stock option to block specific WiFi networks. However, it is still possible to block a WiFi network in Windows 10 via the Command Prompt. Keep in mind that blocking a WiFi network will remove it from the network connections list and you won’t be able to connect to it. Begin by opening the Command Prompt with administrative rights. To do this, search for “command prompt” in the Start menu, right-click it and select “Run as Administrator”. This will add the WiFi network to the blacklist and it won’t be visible in the connections pop up anymore. Perhaps at some point, you might want to allow the blocked WiFi network. In this case, its entry needs to be removed from the blacklist. Once you replace “Network Name” with the actual name of the blocked network in the command below, run it in Command Prompt to unblock the network. Once you find the name of the network you can use the previous command to unblock it.